However, the newly appointed Home Secretary, Sajid Javid, announced that from July 2018, doctors and nurses will no longer be included in the certificate of sponsorship quota, meaning that the salary rates of gaining a certificate of sponsorship for business will be reduced and therefore, the costs associated with hiring a person from overseas will be cheaper, meaning that Tier 2 visas should be much more accessible to migrants who wish to fill job roles, which is positive news for the STEM industry. Before the reform, despite the UK being in desperate need for skilled STEM professionals, particularly those who are able to teach STEM subjects, 3,500 skilled people were denied a Tier 2 visa and entry into Britain between December 2017 and March 2018 alone because of government caps. Of the 3,500 refusals, over 1,200 workers looking to fill IT and technology roles were denied entry, with technology experts suffering the highest number of Tier 2 visa refusals. This ultimately meant that businesses suffered as they were unable to recruit the people that they need for their business due to the visa cap. 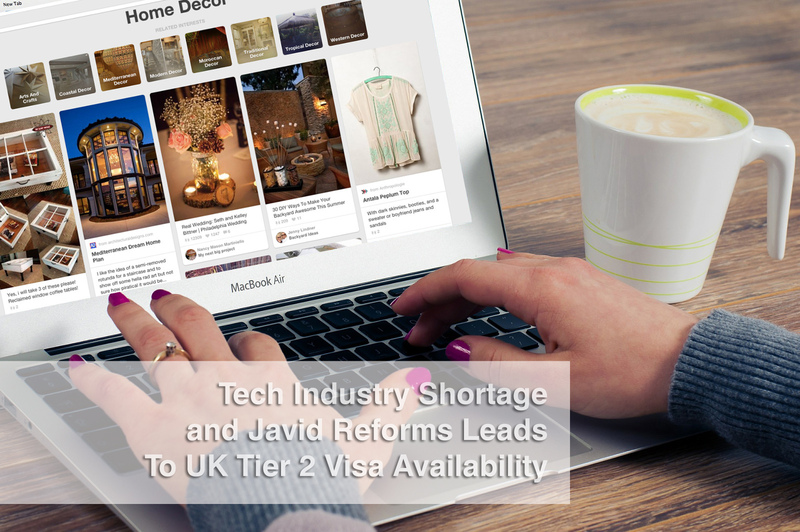 In March 2017, following the high number of Tier 2 visa refusals and the aftermath of Britain’s decision to leave the European Union, it was warned that the UK needs to place a greater urgency in developing the level of skilled workers in technology to avoid “falling off a tech talent cliff edge”. On top of this, since Brexit, a large number of EU workers are choosing not to remain in the UK to work. That, paired with denying Tier 2 visa applications, sends out a damaging message that the UK is not willing to allowed skilled workers into the country. All of which could further contribute the a growing tech skills shortage problem. Despite the government cap on immigration contradicting the government’s goals to innovate and improve our technology and tech skills, the Prime Minister Teresa May has so far resisted to remove the cap which a potentially a damaging decision for many UK businesses. One five occasions, since December 2017, the monthly allocation limit for Tier 2 visa applications has been exceeded. Despite calls to revamp the UK visa system to tackle the skill shortages with STEM industries, particularly the technology industry, has so far fallen on deaf ears. If you need help with a Tier 2 Visa application, you can contact some of the best immigration lawyers London has to offer for advice on how to increase the chances of your application being accepted and your Tier 2 Visa being granted.